The incident happened in the Steiner Ranch community. 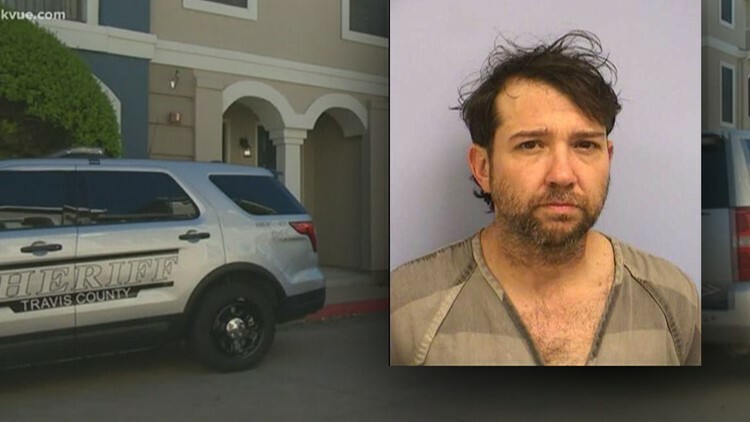 TRAVIS COUNTY, Texas — A shooter who forced his daughter and ex-wife jump off their balcony to find help has been identified in court documents. According to an affidavit obtained by KVUE, family said Britt Lowell Howe, 47, had been suffering from psychiatric delusions, mania and paranoia since his father died in 2012. Howe's mother was driving him from her daughter's house in Port Neches to Howe's home in Fischer, Texas on April 14 when he took her phone from her. Sitting in the back seat of the car, Howe allegedly started making phone calls and started loading a rifle she thinks he had packed in a duffle bag. His mother told officers he started to threaten her while giving her directions on where to go. Britt Lowell Howe is accused of shooting through his family's door before his daughter and ex-wife jumped off their balcony to get help. They ended up at an apartment complex in the 4500 block of Steiner Ranch Blvd. at around 1:30 p.m. While pointing his rifle at her, he allegedly told her to knock on the front door of an apartment. The mother, realizing she was at Howe's ex-wife's residence, knocked on the door. When the door opened, she quickly got inside and yelled out, "go upstairs, he has a gun," the affidavit said. Inside the apartment was Howe's 17-year-old daughter, ex-wife and a family friend. The teen told police she saw Howe walking toward the front door of the apartment with a rifle. Howe started to open the door, but the teen was able to push her body against it. He was able to get the door open and put the barrel of his rifle between the door and the door frame, firing a round. His daughter got the door closed again, but police said Howe fired three more rounds at the deadbolt in order to get inside. During the shooting, authorities said pieces of shrapnel were lodged in the teen's hand. Howe is then accused of chasing his mother and daughter up two flights of stairs while screaming out for his ex. The daughter, mother, ex-wife and family friend were able to hide in the master bedroom before Howe started to break open the door. The teen and Howe's ex-wife jumped from the third-floor balcony onto a rooftop area in order to get onto the second-floor balcony of a neighboring apartment. From there, they were able to call 911. The family friend was able to fight Howe in order to subdue him and release the bolt mechanism form the rifle so it wouldn't fire, the affidavit said. During the altercation, police said Howe shoved the barrel of the rifle into the family friend's chest and bit him several times on the back of the head. When deputies arrived three minutes from when the 911 call was made, they found the suspect and a family member fighting and took the suspect into custody, authorities said on the day of the shooting. "If not for the incredible efforts of this occupant who fought with the suspect, this could have been a very, very tragic scene today," said Travis County Public Information Officer Kristen Dark.